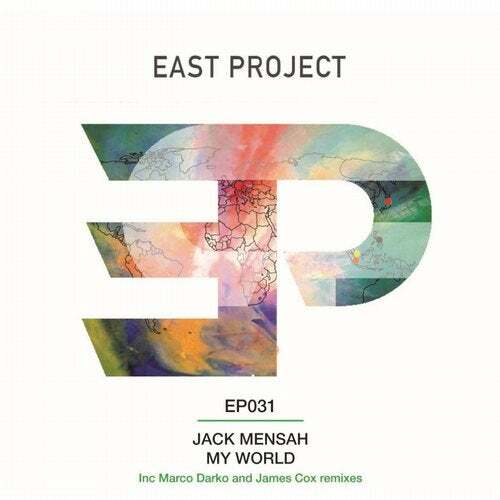 Following a little rest over the Christmas and New Year period, East Project kick off 2019 in style with two original tracks from London based DJ/Producer Jack Mensah; supported by 2 remixes, that are guaranteed to have a little something for everyone! Lead track, My World, is a deep tech monster! With deep drums and a pulsating beat, Jack builds a Solardo-esque groove that has peak time written all over it, while Marco Darko steps up on the remix and injects a cool, upbeat and downright funky vibe, that is guaranteed to get those hands in the air. Jack's second original track is a deep house nugget called "West London Girl Pt1" featuring Coco, that serves up some swinging beats and plenty of energy; while on remix duties, James Cox strips back the original to produce a deep yet groovy number that skips along to the sounds of minimal twisted percussions.